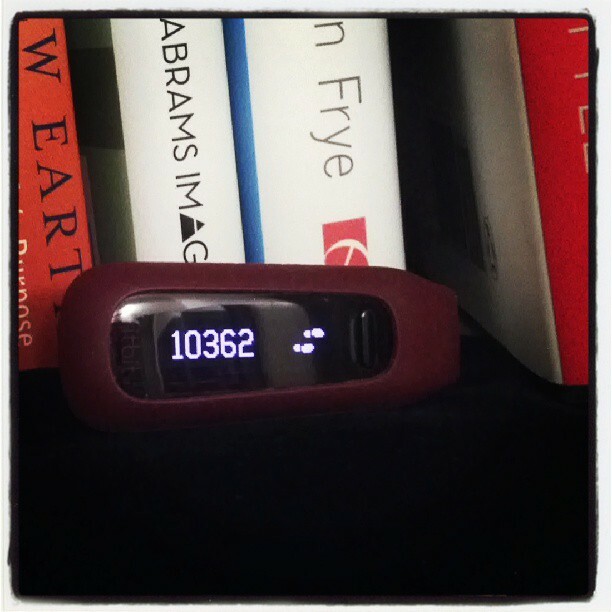 My newest fitness challenge is simple: 10,000 steps a day for 30 days. I am on a mission. I was inspired when a brand that produces fitness tracking devices put out a call for fifteen bloggers to walk 10,000 steps for 30 days to test out one of their products. The bloggers selected serve as brand ambassadors. Bloggers would receive a free device, compensation, and support. In return, they will share their experiences via blog posts. I took a chance. I applied. I didn't make the cut. I wasn't going to let that stop me from doing the challenge anyway: On my own. I believe that over 700 bloggers applied. So minus the fortunate fifteen - there are still quite a number of us that are sad that we didn't get to be a part of it. Personally, I LOVE organized fitness challenges. The support and encouragement from your fellow challengers is awesome. I also enjoy a little friendly competition. In the case of partnered challenges, I am even MORE motivated to meet and/or exceed the goal of the challenge. The added accountability a powerful motivator! I successfully completed a challenge last month and will be blogging about that journey in upcoming posts! I have done in studio challenges at my local Bikram Yoga Studio and at The Dailey Method here in San Diego, CA. I have yet to participate in an online challenge. This is my FIRST solo challenge so once I complete this I will pat myself on the back even harder! Please wish me luck. Once I hit my 10K steps each day I will be posting it on my Instagram profile. What's your opinion of 10,000 steps a day? To be honest, it's been tough to hit that number. I work 8 hours a day in an office. For the most part, my work day is spent sitting at a desk. I have changed my usual habit of taking my breaks in my office. Instead, this challenge is getting me outside so that I can reach my daily goal. In addition to getting the steps completed, I have been enjoying the sunshine, blue skies, and fresh air. Too bad my allergies have been flaring up. As a result I am having sinus issues and headaches. Oh well, it's a trade-off. I'm trying not to medicate so if you have any awesome homeopathic suggestions with dealing with allergies - please share! I would also LOVE to know if you use a pedometer, or other fitness tracking device, online app, etc. I think it's great for motivation, for sure! Hi Rosey! I'm on Day 3 and going strong! I'm encouraged and hope to get to Day 30 with this much excitement! Hi Pamela, I'm sorry that you didn't get picked either. I'm so glad to hear that you are doing your own challenge too! Good for you! Thank you Rhonda! I just finished Day 3! I hope to keep it up! Rejection is never pleasant but I just KNOW that I can do this! I will definitely be sharing my progress. I think 10,000 for the most part is very doable. My husband bought a Fitbit a few weeks ago and loves his. He was aiming for 15,000 steps and some days are easier to achieve than others. Thank you for sharing. Hi Christy! I am finding that it is doable. With my work schedule it does get tough but I am making the time to get away from my desk and take a couple of walking breaks. When I get home my husband, son, and I go for family walks until I get to that 10K mark. Maybe I'll bump up my goal to 15 like your husband. I'm inspired! I think it can be very difficult to reach that number but all the best to you in reaching your goals. Dominique - it can be especially since for the most part of the day I am at work sitting down. But I now look forward to taking more walks. Thank you for your encouragement! I am enjoying my fitbit and would like to get the companion scale- the Aria Wi-Fi Smart Scale BUT that's not in the budget right now. I'm sure you exceed 10K each day with your busy self!